It’s aero racing. The air simply prohibits cars from getting close enough to make a pass. The faster they’re going, the greater the effect. When NASCAR goes to a short track at slower speeds, they put on a great show. But, the NASCAR schedule is about 35% 1.5-mile tracks. Those shows have to be better. 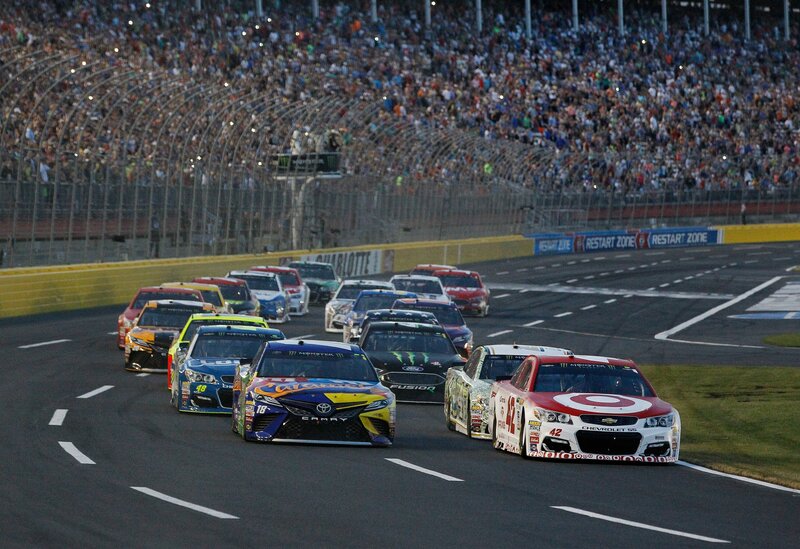 NASCAR is trying something new when the Monster Energy NASCAR Cup Series heads to Charlotte Motor Speedway for the All-Star race. It’s close to the same package the NASCAR Xfinity Series tested at Indianapolis Motor Speedway, a race that was significantly improved from a viewers perspective. First, they will slow them down and lessen the aero effects. Then, they will add aero ducts at the front of the car which will provide more air to the front nose of the trailing car. In addition, the 2014 splitter will be used in conjunction with a larger rear spoiler to create a larger draft down the straights. What does Kyle Busch think about the NASCAR All-Star package? “I’m not a particular fan of it. But, we certainly do need to orchestrate some better racing at mile and a half tracks,” Kyle Busch says from the media center. Do you have an idea of what NASCAR should try on the mile and a half tracks? How much do you pay attention to new rules and such? “Everybody wants the opposite of what they see or what they get,” Kyle Busch concluded.